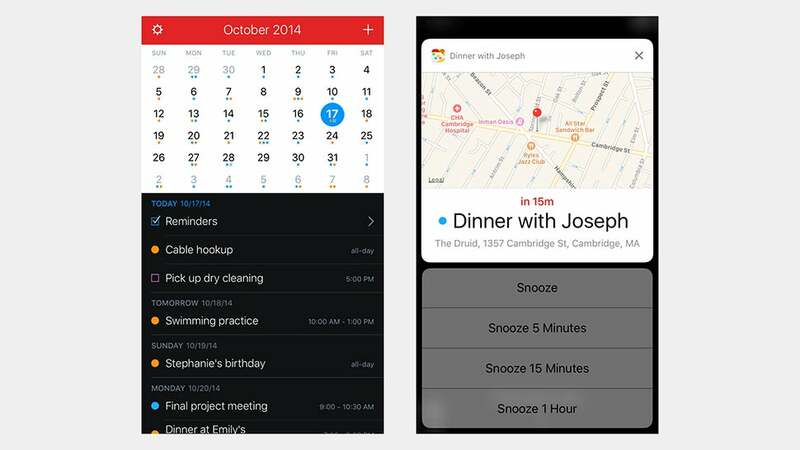 The calendar has to be one of the most-used apps on any smartphone—keeping track of appointments, birthdays, holidays, and more—but if you’ve stuck with the one Apple or Google gives you on your phone then you’re missing out. 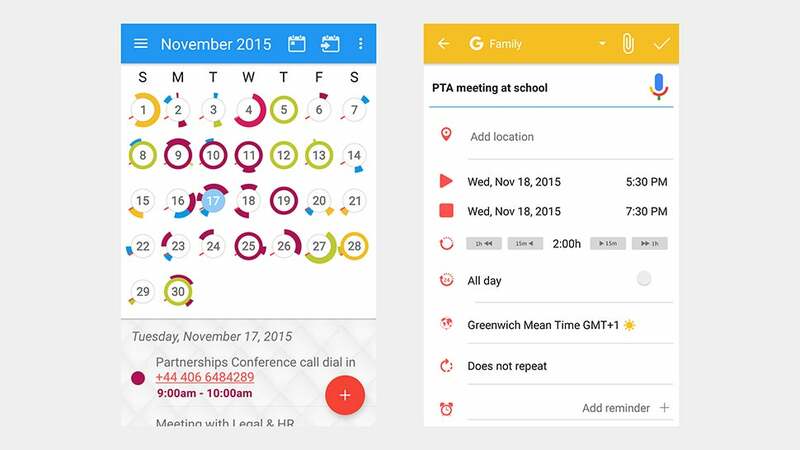 These are five of the best alternative calendar apps that give you something more. 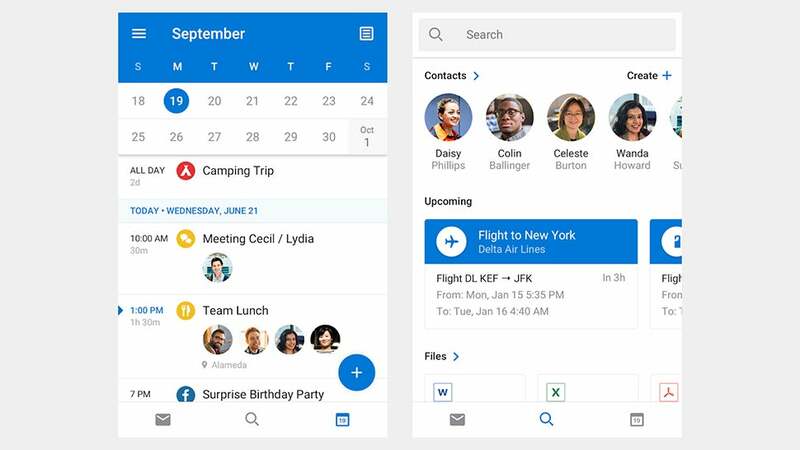 Some serious effort has gone into the design of Outlook for Android and iOS, with event pages showing locations, attendees, and all the other key information in a refreshingly simple and smart way. Even when you’ve got a whole mass of days and appointments on screen, Outlook manages to help you make sense of it with good use of grids and colours. 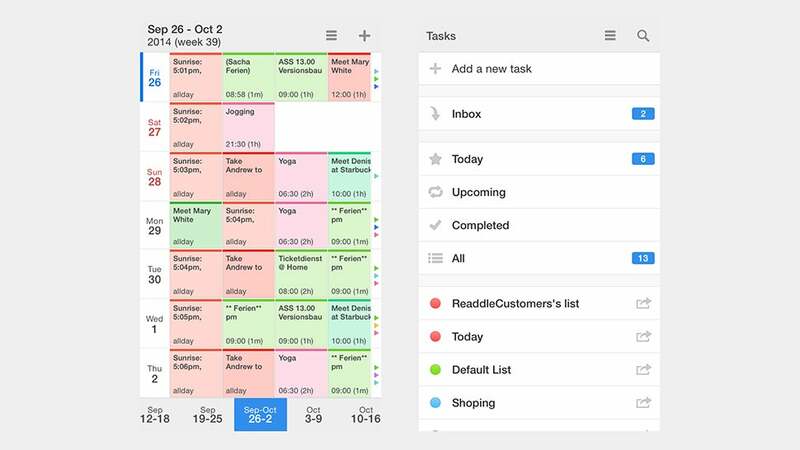 Outlook is geared up to import calendars (and email accounts) from just about anywhere, so you don’t have to do a full dive into the Microsoft ecosystem to get the Outlook calendar app up and running on your phone. It comes with a ton of integrations with other services as well, from Dropbox to Evernote, so you can easily make it the centre of your digital life. Alongside all the basics you would expect, Fantastical includes some genuinely innovative features, like the natural language interface that lets you create reminders or calendar events just as you would when talking to a friend. Colour coding and typography are put to good use as well, from the overall calendar view to the individual appointment pages. The DayTicker feature gives you a refreshingly simple overview of what you need to do on any particular day, while there are also very useful integrations with the likes of WhatsApp (for sending event reminders to guests) and Google and Apple calendars (for importing events from other platforms). Definitely worth the £5 admission for the iPhone or iPad. You get reminders, reminder snoozing, syncing with Outlook and Google Calendar, and even integration with Uber for getting to your next meeting. A premium account (£3.50/month) gets you all the features we’ve already mentioned plus more third-party plug-ins (like Evernote and Dropbox), location reminders, and some other goodies. It works offline and online too, which is a feature that not all calendar apps can offer, and can be accessed directly by Siri. Once you’ve started using the app, it’s only free for seven days, after which you need to cough up £0.79/month for a subscription—but considering a lifetime unlock fee is only £7, you might well consider buying that if like it. Any.do has a clean and clear interface that seems to us to mix in the best bits of Apple Calendar and Google Calendar and then build on them. 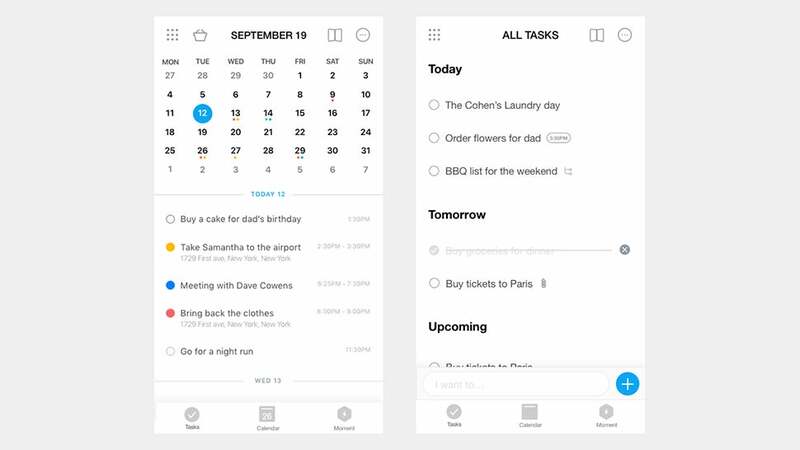 The sharp typography, the subtle colour coding, the careful use of icons, widgets that don’t look overly cluttered (a real rarity in our experience)... it all adds up to an impressive calendar app that’s worth a look. Where the app really excels is in bringing all this information and data together in a form that’s easy on the eye and easy to understand. Most of the features are free to use, but a premium (£6/month) account gives you access to themes, location-based reminders, custom recurring tasks, and more.